It’s wintertime, and let’s face it: Your utility bill is going to be high this time of year. Even so, you might still be frustrated with your utility company when you get a bill that’s three or four times higher than normal. But before you call up your provider and give them a piece of your mind, see if this scenario sounds familiar. OK, so you just checked the thermostat. It’s 12 degrees outside. Twelve! Meanwhile, you’re freezing inside your house because you’ve lowered your thermostat all the way to 66. You’re covered with blankets. You’re doing your best to save energy and… your bill is still crazy high. Right, we get it. Us too. First things first: No, your utility company hasn’t raised their rates very suddenly. But yes, you should still call them and raise some hell. We’ll get to why later. In the meantime, let’s go over a few of the many reasons your bill is so insane right now. Related: How to Read Your Utility Bill. Duh. It’s cold. Very cold, even here in Alabama. But what does that mean for you? All houses have leakage points. Some houses are worse than others. 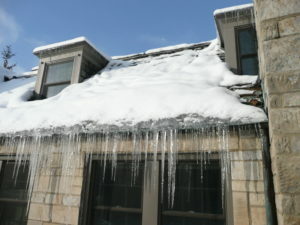 Some, especially older homes, leak LOTS of that precious warm air during the wintertime. That’s a bad thing. Pop quiz time. Do you know how your heating system works? Do you know what a heat pump is? Is it running on auxiliary mode? If you said ‘no’ to any of those questions, we have good news and bad news. The good news is that you don’t have to know exactly how your system works. If you’re curious, there are loads of YouTube videos that can give you a crash course. The bad news is that, if your heat pump is running on auxiliary mode (or aux heat), that’s gonna cost you some serious dough. When the temperature outside reaches a certain point (around the freezing point), your thermostat will automatically turn on auxiliary mode. This turns on electric heat strips for additional heat. It’s kinda like blasting your oven on high. All through your house. That’s understandable when it’s really, really cold outside. You gotta stay warm. Just make sure the auxiliary heat (or emergency heat) setting isn’t always on. 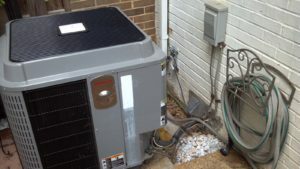 You also want your heat pump to keep working even while the auxiliary heat is on. To do this, have a professional come out twice a year to check that your HVAC is in working order. If you’re not having regular maintenance completed by a certified technician, chances are your equipment may not be working as designed. And here’s the problem: You may not even know! Just because it’s warm inside your house doesn’t mean the system is really working the right way. Remember that high bill? Unfortunately, this might be a somewhat pricey fix if something is wrong. But in the long run, fixing the problem is better than overpaying every single month. So Can I Still Give Someone a Piece of My Mind? Yes! It’s true that your utility company didn’t suddenly change your rates. However, their rate structure is set up in a way that penalizes you when things get rough. Wouldn’t it be nice if your utility company offered a slightly lower rate at times when it’s especially hot or cold outside? That would obviously help lots of customers who feel the pinch this time of year. Then, when the temperature is milder, they could charge a higher rate to make up for it. We think everybody would benefit in this scenario. Your utility MAY offer budget billing and if so, you should check out that option. Another option would be for utility companies to invest in energy efficiency programs that help real people. Wouldn’t it be nice if your provider offered a program to make your home more energy efficient so you could fix all the problems we listed above? We think so, too. Then you wouldn’t need special rates and billing processes. They know these problems are out there. But these types of programs are few and far between in Alabama. So call your utility company, city council, the board of directors, and/or the Alabama Public Service Commission. Let them know how you feel. You might just make a difference for yourself and your community. So Who Exactly Do I Call? That depends on where you live in Alabama. If you have a municipal utility, call your city council and mayor. They ultimately control the utility. If you have an electric cooperative, call your board of directors. This information can be found on their website.